The ACLU deceived the government in a highly publicized abortion case involving an illegal immigrant teen and her unborn baby, the Trump administration said Friday. “Jane Doe,” the undocumented teenager at the center of the court battle, aborted her 16-week unborn baby on Oct. 25, barely a day after a federal appeals court forced Trump administration officials to help facilitate the abortion. This week, Trump administration said the ACLU, which represented the teen, lied to its lawyers about when the teen’s abortion would take place, the AP reports. “After informing Justice Department attorneys that the procedure would occur on October 26th, Jane Doe’s attorneys scheduled the abortion for the early morning hours of October 25th, thereby thwarting Supreme Court review,” Department of Justice spokesman Devin O’Malley said in a statement Friday. Some questioned why the Trump administration did not appeal the Oct. 24 court ruling to the U.S. Supreme Court, but this new development explains why. The Department of Justice said Friday that the teen’s abortion was moved up without its lawyers’ knowledge, which meant administration lawyers didn’t appeal to the case to the Supreme Court before the procedure took place. The administration is now asking the Supreme Court to vacate a lower court ruling in favor of the teen, who entered the country illegally and is being held in a federal facility for unaccompanied minors in Texas. 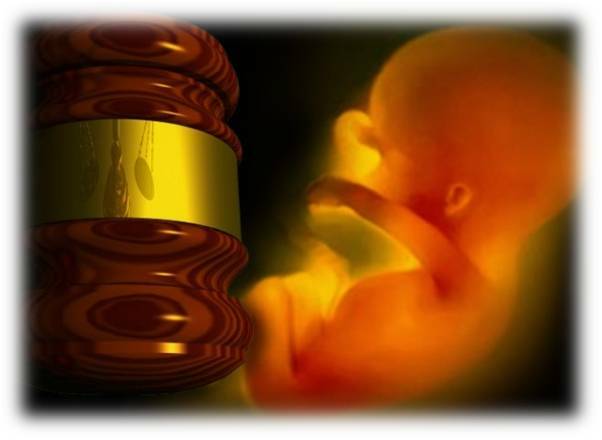 The 17-year-old had an abortion on Oct. 25 after the full U.S. Court of Appeals for the District of Columbia Circuit ruled in her favor. The Department of Justice says its attorneys were told that the procedure would occur Oct. 26. The teen’s name and country of origin have been withheld because she’s a minor, and she is referred to in court paperwork as Jane Doe. In the petition to the Supreme Court, the department said the ACLU violated its duty to the court and the Bar, and disciplinary actions may be warranted. However, an ACLU spokesman said the claims are “baseless,” and shifted the blame onto the Trump administration. According to the National Law Journal, the new accusations are connected to the 24-hour waiting period required between informed consent counseling and an abortion in Texas. DOJ wrote in the writ that while the ACLU lawyers argue they do not have any legal obligation to keep the government informed of the timing of Doe’s procedure, the ACLU repeatedly said in court and to the government that Doe would need a new counseling appointment before getting the abortion. “Given the dealings between the parties, respondent’s counsel at least arguably had an obligation to notify the government of this incredibly significant development,” the writ said. The 17-year-old “Jane Doe” came to the country illegally and was staying at a taxpayer-funded shelter in Texas when she requested an abortion. The shelter did not assist her, citing a new government policy that they offer life-affirming support to women and girls who are pregnant, according to Slate. According to the report, the shelter took “Jane Doe” to a pro-life pregnancy resource center instead. The ACLU said the teen did not change her mind after receiving counseling, and scheduled an abortion; however, the shelter where she is staying refused to transport her to the appointment. The ACLU sued on behalf of the teen, and after a series of appeals by the U.S. government and the ACLU, the pro-abortion legal group won in federal appeals court. The teen aborted her unborn baby the next day. Planned Parenthood, NARAL and other abortion activists celebrated the news of the unborn baby’s abortion death. Earlier this year under President Donald Trump’s administration, the Office of Refugee Resettlement issued a new policy requiring that taxpayer-funded shelters for immigrants and refugees offer life-affirming support to women and girls who are pregnant.